We have conducted 29 sea trials; produced full size system in the USA and shipped them to remote ILO Peru for assembly and deployment; received grants from Los Alamos & Sandia National Laboratories, Oregon Wave Energy Trust, and UK Technology Strategies Board; conducted 5 rounds of wave tank tests at Plymouth Univ (UK), and Texas A&M. We have raised about $3.4 million dollars to fund this development since 2006. Our methodology breaks with convention: we build it and test it - then figure out what went right vs. wrong, fix it, and re-test. Modeling happens in conjunction because no real solution comes from sitting at a desk!! 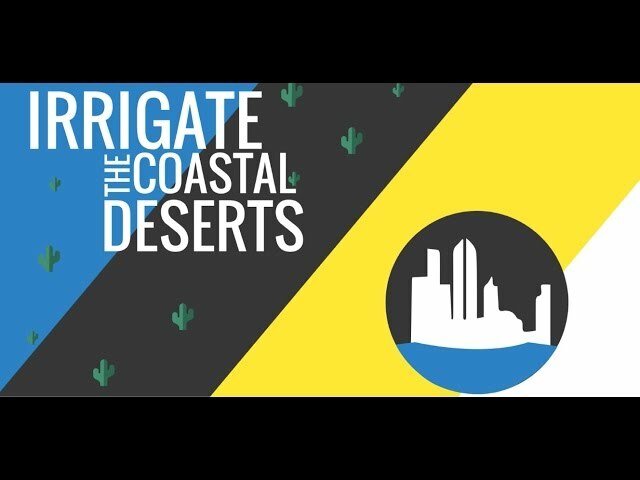 Through our Greening the Coastal Deserts innovation, Atmocean will help create sustainable agriculture in rural desert regions, providing more food, while creating jobs & income. Our innovation also reduces the need for rural populations to relocate to crowded urban areas and protects, and protects & restores the ocean ecosystem. These will be the first sustainable agriculture projects in coastal desert regions powered by wave energy. We use wave energy to power our zero-electricity reverse/osmosis (ZER/O tm) desalination modules. The fresh water is delivered to drip irrigation pipe networks, creating new agricultural cropland in the rural coastal desert regions. The direct global impact is seen on food supply, rural jobs & income, CO2 drawdown (via photosynthesis), and nearshore ocean ecosystem protection/restoration (via de facto MPA's). Indirect global impacts include: less incentive to move to overcrowded cities; less poverty & crime; improved government services. Short term (2016): Funding of $250k to complete development and demonstrate working system in ocean conditions at our permitted site near ILO Peru. Medium term (2017): Funding of $2.75 million to build out a full scale operating system, including desalination & drip irrigation, actually growing crops in the Atacama Desert of Southern Peru. Long term (2018+): Funding to double new systems each year, reaching 65,000 operating systems by 2037.